Apple Core is Blue Apple's award winning performance skills training programme. Open to a small group of auditioned, learning disabled members who have talent and ambition, but who are unable to access drama school, the group receives training, conducts workshops and tours dance and drama performances and commissioned, issue-based plays. Blue Apple Theatre was founded in 2005 to use the skills and enhanced confidence gained through performing on stage as an opportunity for raising the ceiling of expectation for people with learning disabilities. 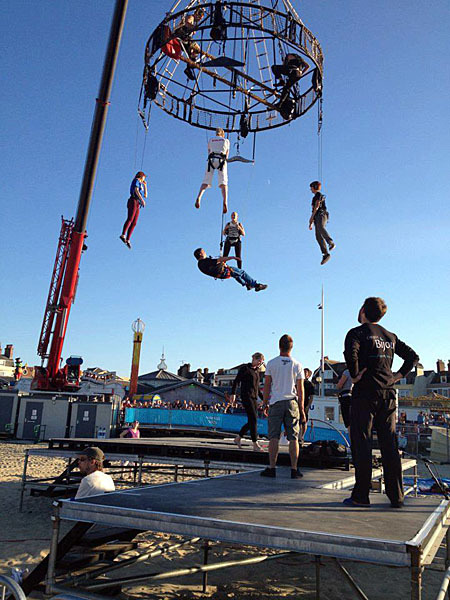 The organisation aims to help members achieve their social, personal and theatrical potential through the challenge of appearing on stage in public performance. Blue Apple's Main Company is a group of over 30 able and learning-disabled adults. The group discover and develop new skills while devising and creating two major public productions each year. Blue Apple Theatre aim for high quality productions which include learning disabled and non-disabled artists. Blue Apple Theatre believe creating inclusive theatre is important in building bridges of understanding and respect between different community groups.